While the Sonos Play:1 doesn’t have the built-in Alexa or AirPlay 2 support of the newer Sonos One, it sounds just as good, and is priced $50 cheaper. 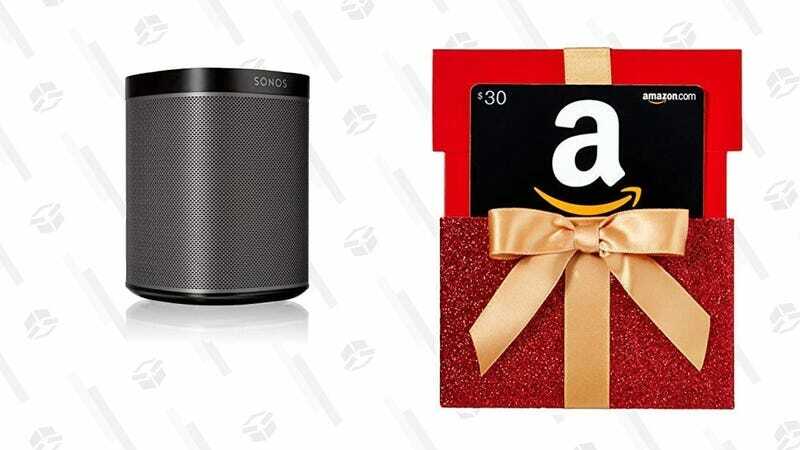 And if you don’t need all of those latest and greatest features, you can grab two of them today for $298, along with a bonus $30 gift card, a match for a deal just before Black Friday. We do see these for $119 refurbished with some regularity, but this is as good a deal as we ever see on new ones.